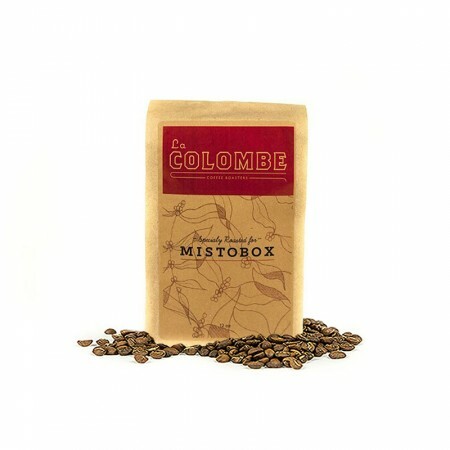 This is the Afrique Blend brought to you by La Colombe. A portion of all profits from the sale of Afrique is returned to African coffee-growing communities to provide housing, food, healthcare and education to orphaned children and to support water well drilling as well as other community projects. This cup is fantastically rich, with fruity, earthy and spicy notes. I usually like La Colombe, but this was just bitter without any other flavors to redeem it. I experimented with the grind and pour, but it didn't help. Delicious! Bold but smooth, and fruity. Exactly what I want in my coffee. Tasted burnt. Couldn't taste the complexity of the coffee, just the flavor of the roast. Typical issue with La Columbe IMO. I always make my coffee with a Chemex, which might have accentuated all the wrong things about this coffee. Good! I tend to enjoy La Colombe beans in general. Could be a bit bolder. So good I'm having a second cup and it's not even 6:00 am. Tastes like dirt in the way a nice wine can taste like dirt. Love it! This was fine - nice and warm and the fruity undertones were great. I'm a little bitter (no pun intended) because it's hot and I tried to make cold brew with it and it was a little too bitter and almost woody as cold brew, even with milk added. Much better as hot coffee. Loved the chocolate/nutty flavor. Not too intense, great coffee. Rich and bold with a smooth finish. Awesome selection Connor! A little on the bitter side for us. Update. I used an extra scoop for the pot. Made a world a difference. Taste the full body with some brightness. Plus the chocolate notes came through. The beans are so aromatic; I wanted to give it another try. First pot very good, but next 2 pots weakened in flavor despite increasing the amount of coffee used. I am really enjoying this coffee! It is the perfect blend! When I first smelled these coffee beans, I was worried I wasn't going to love the coffee because the aroma was so subtle. As it turns out, while I would describe it as subtle, this coffee is in no way lacking flavor- it's just incredibly smooth, and still had a richness and a depth to it that is very enjoyable. This is a wonderful coffee for drinking black. Bold, perhaps a little bitter. Bold without lacking the smoothness. It hit its high notes, and I think that was my problem. I tend not to prefer earthy; it reminds me too much of loamy soil and not coffee.